My family came up to visit on my birthday last week and brought the most amazing birthday cake ever. My lovely mother worked over time perfecting a root beer cake and frosting recipe as well as the greatest way possible to serve it. 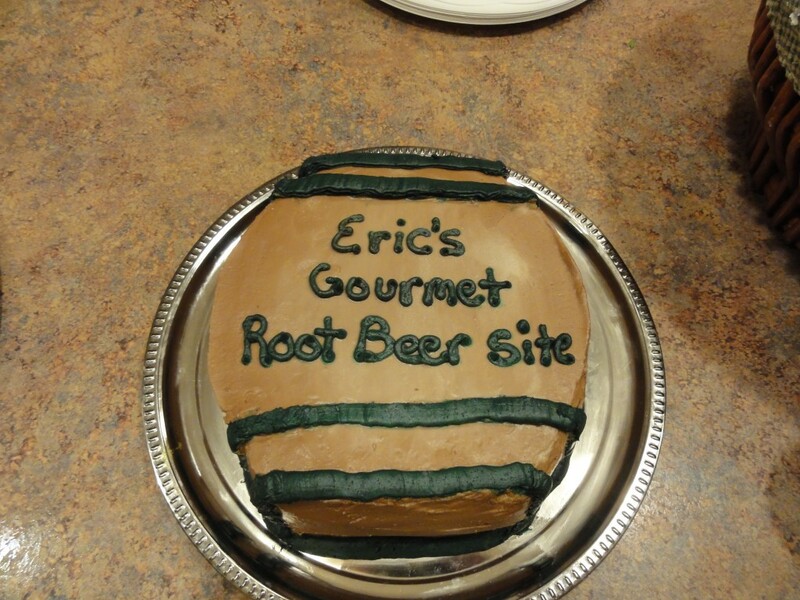 The cake has a solid root beer flavor and is even slightly fizzy from using actual root beer and baking soda. The frosting is rich and root beery as well. 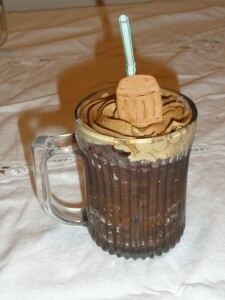 It is delicious and when made and served in the glass mugs, will be a hit with all root beer lovers. A wonderful bonus is that now I have a dozen glass mugs for root beer parties at home! I told her that I needed the recipe and she happily obliged. 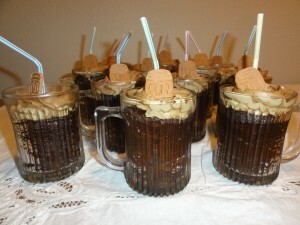 So here it is, Frosty Mug Root Beer Cupcakes by Pam Sortomme. Mix sugar, flour, baking soda, baking powder, and salt. Add in root beer, root beer concentrate, vanilla, vinegar, and oil until well blended. The batter should be thin. Spray the mugs will cooking spray and fill halfway with batter. Bake at 350 F for 19-24 minutes. When the cupcakes are cool, frost so it looks like foam. Add straws if desired. 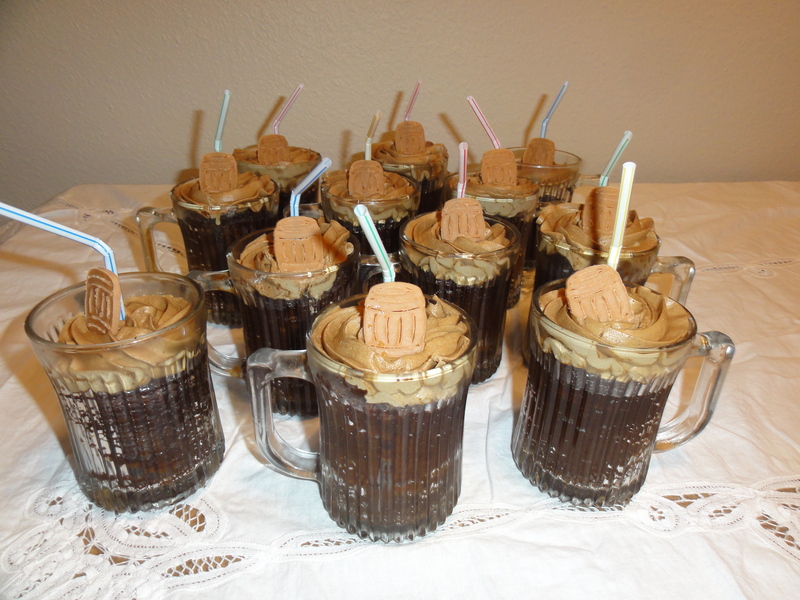 The little root beer kegs are made from chocolate with her Cricket Cake Cutter. The cake itself is very moist and fluffy and delicious. 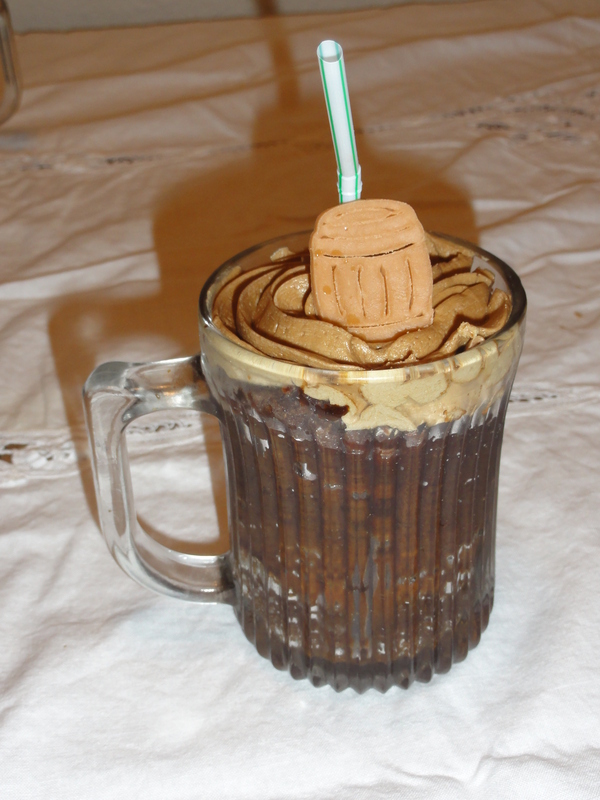 You can even put a scoop of ice cream on top for a root beer cupcake float! 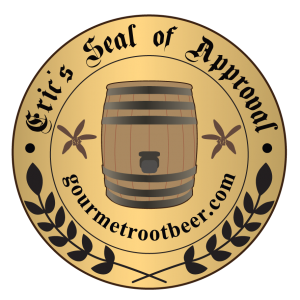 While I won’t start giving Seal of Approvals to recipes with root beer in them (there would be far far too many I’m sure) I heartily recommend this to anyone who loves root beer. 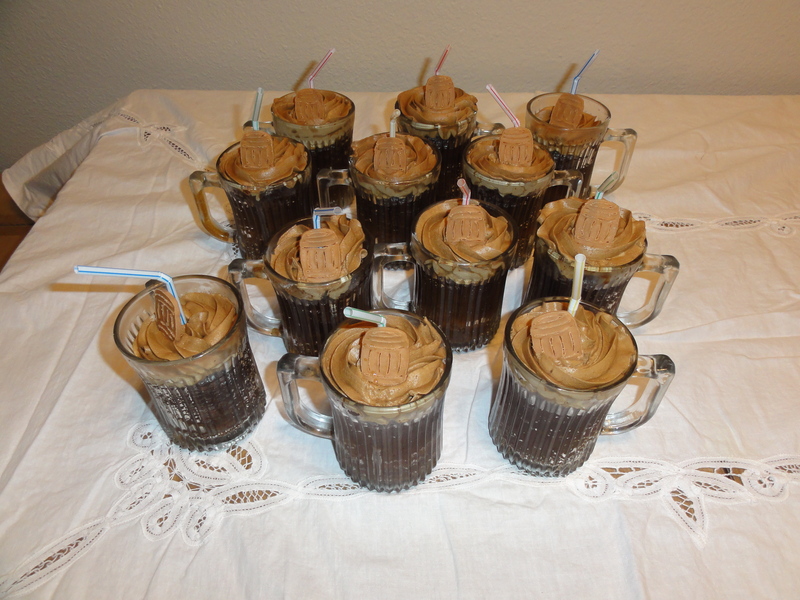 Frosty Mug Root Beer Cupcakes viewed from above.